Keep on reading if you're interested in participating in swaps for the retreat. You make take part whether or not you signed up during registration. If you want to do the Secret Sewist Swap you must fill out the Google Form by Feb 20th (do it before QuiltCon if you are going). We will be having two different swaps this year at MOD. You can take part in one, both, none at all, but I can assure you that they are both going to be amazing! Last year, we swapped tote bags using Essex Linen from Robert Kaufman with great success! It was like Christmas morning when everyone received their bags. There are no official signups for this swap - just bring it to the retreat and you'll come home with one! The exchange is random so you are not making the mini for anyone specific. 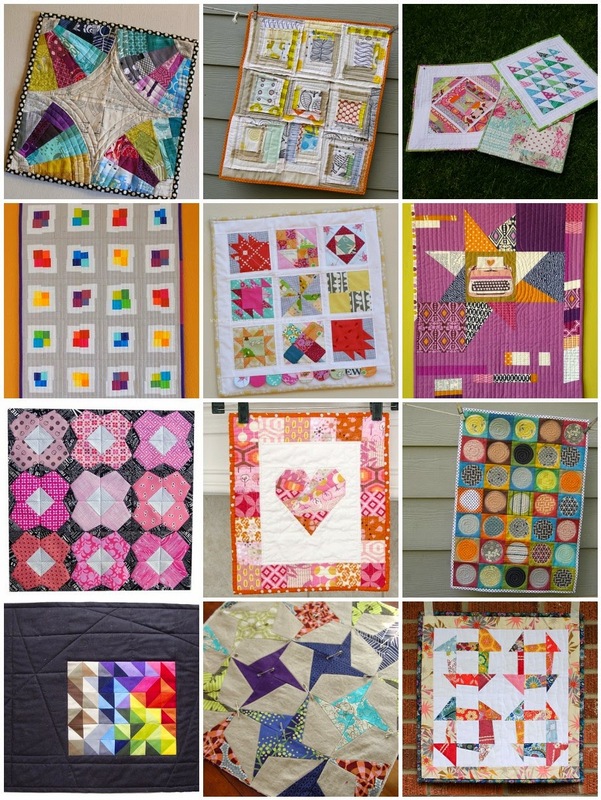 You will make a mini quilt that is 15" square (it's okay if it's a half an inch larger or smaller - don't worry- but try to keep it close). You use your own fabric to make this swap item. It must be quilted and bounded. It must have a label on the back so your recipient can find you and thank you! It can say something as simple as "Made by (your name)", and if you want, you can commemorate the event ("Mid-Atlantic Mod Swap 2015"). It must have corner pockets for hanging on the top corners of the back. A small board will be provided already cut to size so when you go home all you have to do is stick a command strip on the back and you’re ready to hang! This is a video tutorial on how to make the pockets: https://www.youtube.com/watch?v=XEJBiRh6zWY They are added before you bind the quilt. Please use 4” squares to make your pockets. Again, you do NOT need to bring a yardstick or board to hang it. We will provide these. You can make anything you want, but please keep in mind this is a modern retreat. For example, no appliqued baskets of flowers, Sunbonnet Sue, etc. Some ideas for you: using solid, bold fabrics, improvisation, a modern block surrounded by strips, several blocks pieced together in modern fabric, low volume fabrics as a background, etc. You might want to make something functional that your recipient can hang in their house. Please bring the quilt wrapped or in a paper bag so it is not visible and without your name on the outside. You can post pix of your mini on Instagram etc before the swap (tag them with #midatlanticmod), but if you do, try not to show people how yours is wrapped so everyone is surprised when opening them. You will be sent the personal information of your assigned sewist after sign-ups are complete so you can sew specifically for them. At least one of the days has to be a significant handmade sewn gift. Examples: pouch(es), fabric basket(s), pillow cover, sewing machine mat, sewing organizer, mini quilt, tote bag, etc. The more unique, the better! For the other 2 days, smaller handmade gifts are appreciated but not required. Something small like a key fob or lanyard, mug rug with a mug, something in their favorite color and/or tailored to their interests, etc. would be nice. You could also include any other crafts you do (knitting, jam, candles, lip balm, etc.) but you still need your one sewn item. If you want to leave generic notions, fabric, or chocolate for your partner in addition, that's great, but you must also try to leave them something unique that you think they will love. There is no set dollar value for the gifts because it’s impossible to value our time. People tend to be generous and leave small group of gift items each day. You are totally welcome to spoil your sewist and it will likely be very appreciated. 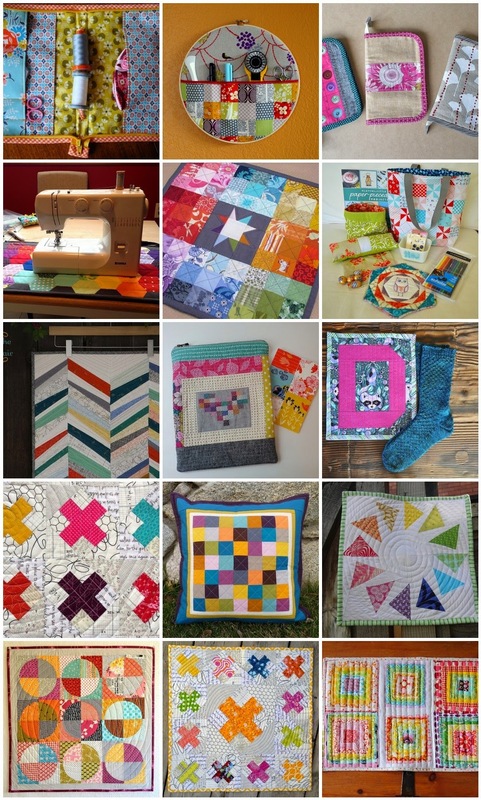 If you want to make something sewn or crafted for each day, go for it! 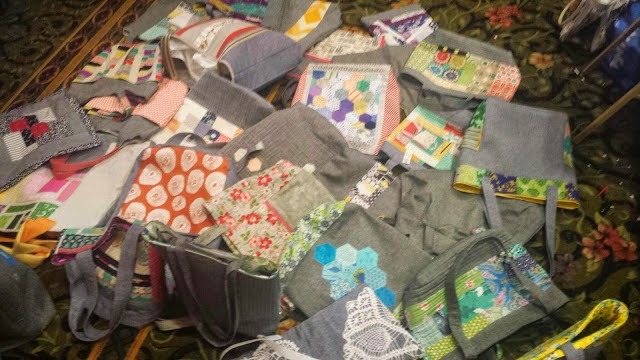 But be aware that the requirements are at least one hand sewn item and a gift every day that includes unique, thoughtful, or fun items. So, for example, if you make a twin sized quilt, other hand sewn items and include a dozen fat quarters and several spools of Aurifil, it’s very likely you’re not going to get the equivalent in return. We just don’t want anyone to be disappointed, but have fun spoiling your sewist! You can only participate if you will be there Friday, Sat and Sunday. You're not required to leave a gift on Thursday, but feel free if you're both there. Please follow this link and fill out the form even if you already indicated during initial registration that you were interested. The information will be passed on to your Secret Sewist. 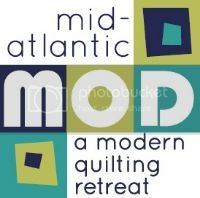 We need this form filled out by Feb 20th (so, before you go to QuiltCon). We can't wait to see what you make to swap! Happy sewing! Very beautiful blog post , thanks for posting this informative and shareable blog post. Keep it up.